The growth of the drone market is lowering the price point, and making these aircrafts more accessible to the average person. 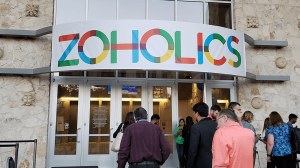 Whether you are buying one as a toy, a hobby or for a business application, you have many options. And of course these options greatly depend on how much you are willing to pay. As for the future of drone flight, the Department of Transportation (DOT) and FAA just finalized the rules for small unmanned aircraft systems in June of this year, which will create new opportunities for businesses and governments. 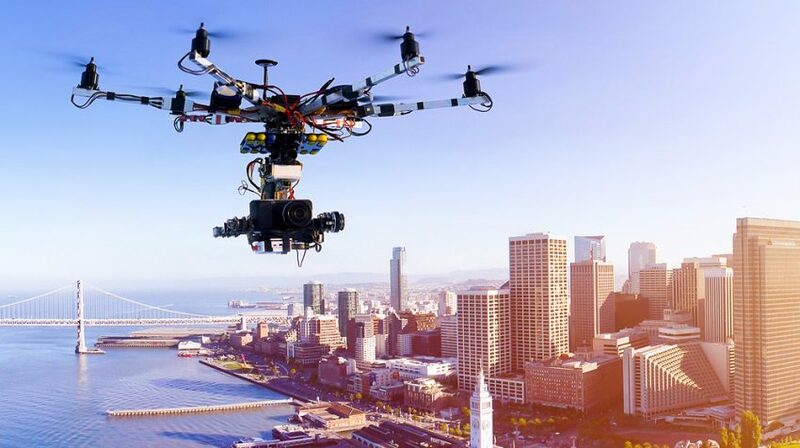 Industry estimates cited by the FAA believe this new ruling has the potential to generate more than $82 billion in the US, while creating more than 100,000 new jobs over the next decade. So, here are 20 best cheap drones — all under $150 — any one of which could be a great way for you or your business to learn as much as possible before you upgrade to the more expensive choices. 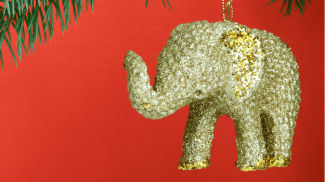 From the whimsical to the utilitarian, you can buy one just for the fun of it, or to help you get ready to get your share of that $82 billion market. For a drone that costs $40.94 the X5C has all the tools you need to fly, capture video and photos so you can become more proficient. 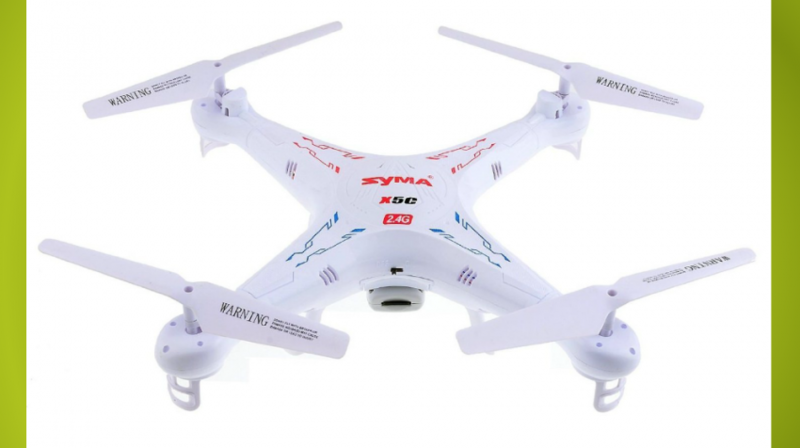 The X5C has a 4CH HD video camera and micro SD card with a flight time of about seven minutes. 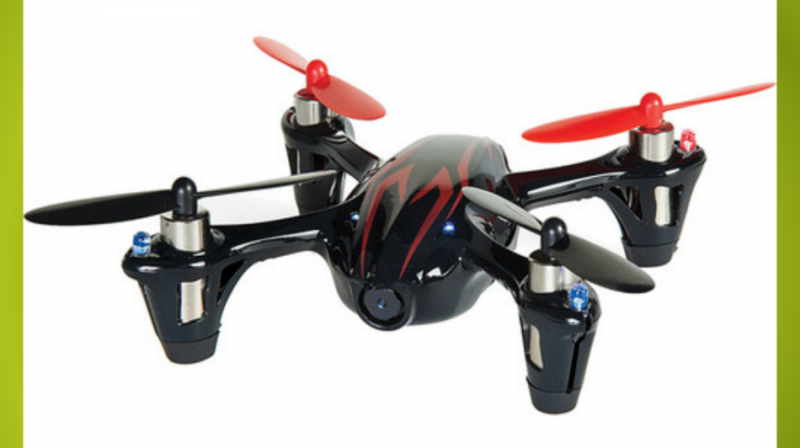 This small drone comes with a 2MP HD camera $42.49 with a hovering time of nine minutes. The X4 H107C is made by one of the biggest brands in the industry so it has quality even though it is less than $50. 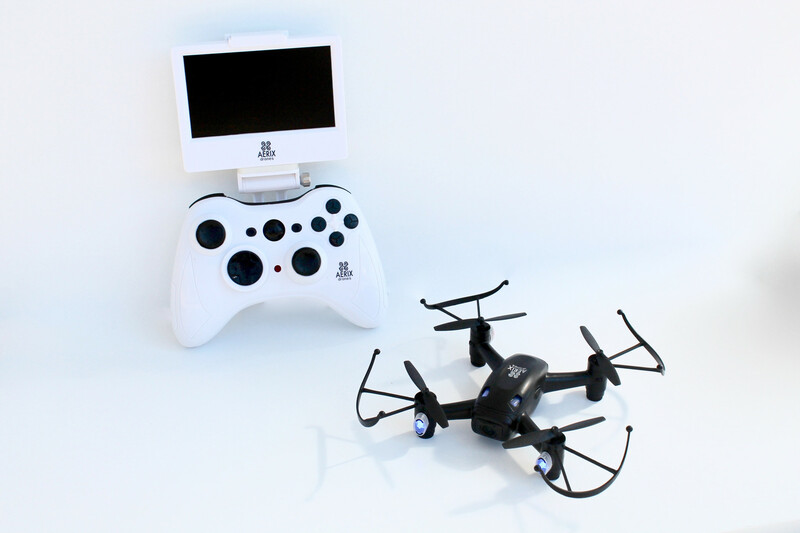 This is the world’s smallest quadcopter coming in at 3cm x 3cm x 2cm or about 1″ all around with an ultra-Compact 2.4 gHz controller and up to seven minutes of flight time. The company has a US Patent pending on this drone, and it has managed to put many of the specs in big drones, including 6-axis gyro-stabilization, 360 degree rotational yaw and more for $45. 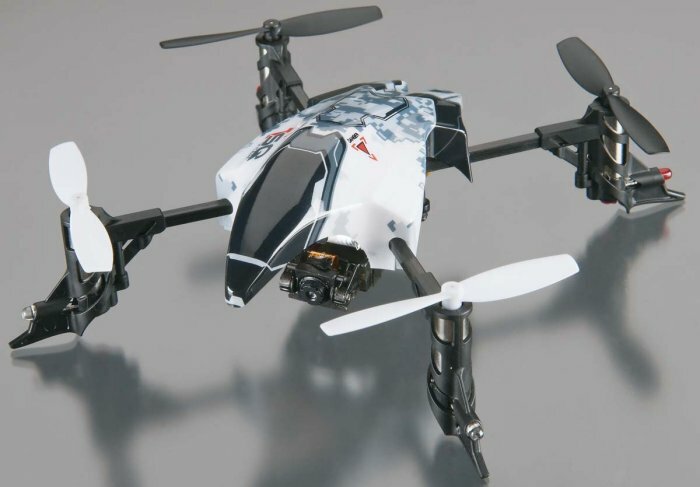 There are some expensive and fast racing drones out there, but if you are just starting the Black Talon has a top speed of 15 MPH with up to seven minutes of flight time for $139. You also have the option of getting the extended flight package so you can fly for up to 25 minutes. 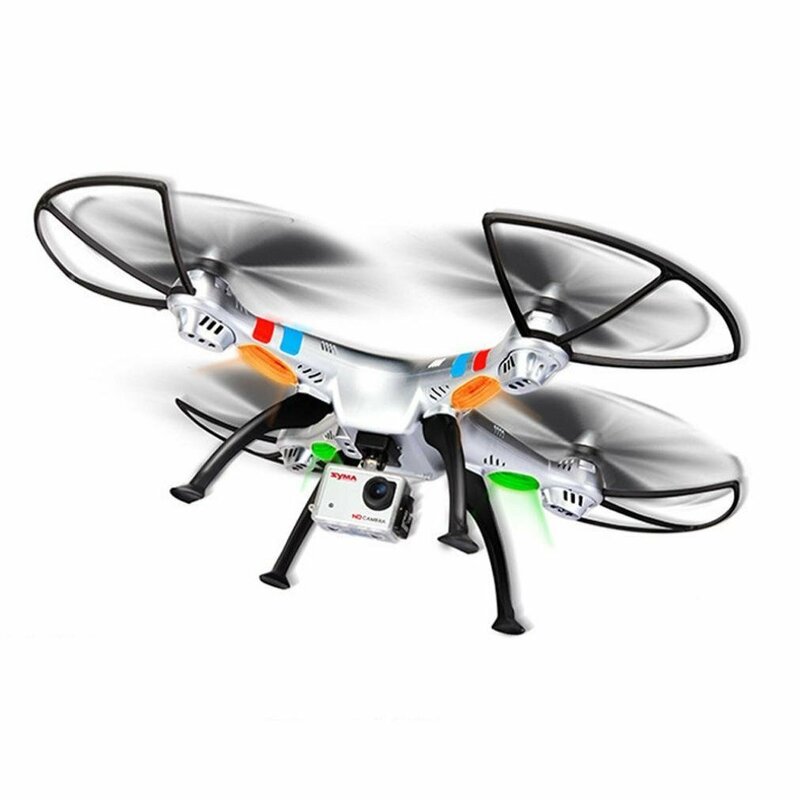 If you want a drone with no frills that will give you the necessary skills to learn control, this is it. The U818A is a great pick for aspiring pilots who want to control the flight themselves and take video on a limited budget. 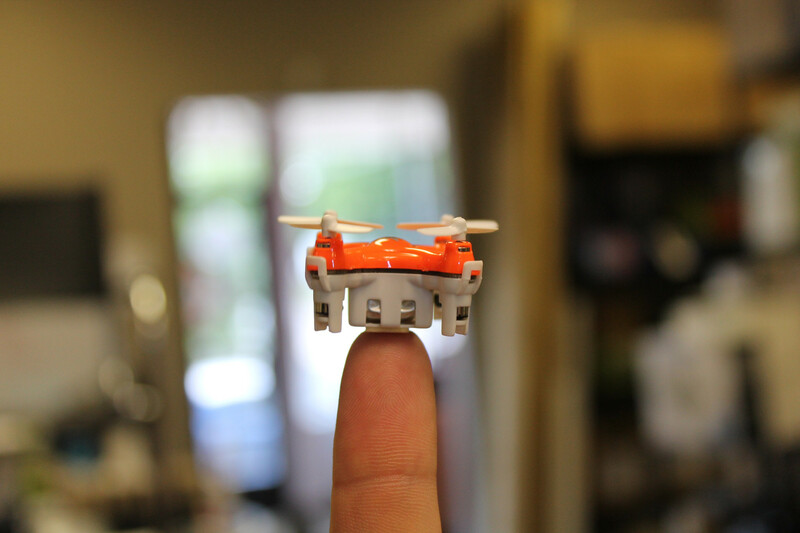 The frame protects the rotors and the 4GB micro SD card lets you capture a good amount of video or pictures. 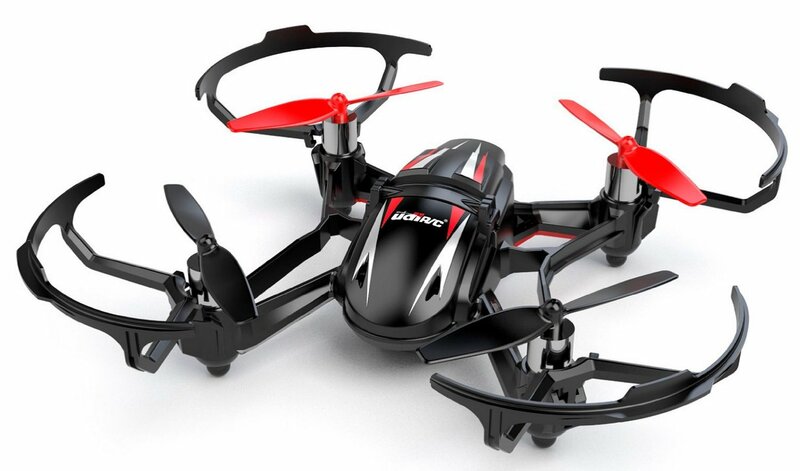 The flight time for this $71.98 drone is around nine minutes. The 1SQ is yet another drone with decent camera and controls for capturing images. It takes 1MP still pictures and records video at 1280×720 30fps on the 2GB micro SD it comes with. Some of the functions include, Auto-FLIP for front-to-back, back-to-front or side-to-side somersaults. The $129.99 gets you up to 10 minutes of flight time. 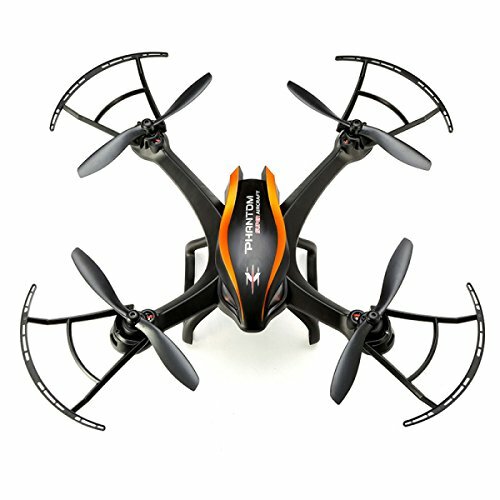 At only $26 this drone has a 3.7V 450 mAh battery that gives you hovering time of a little more than five and a half minutes. There other micro (50MM) and small (100MM) drones in this price range and cheaper, so if you are a beginner, the FREE LOOP and others in its class are the ideal way to get your feet wet. The H8C gives you four speed settings that increase in 25 percent increments. 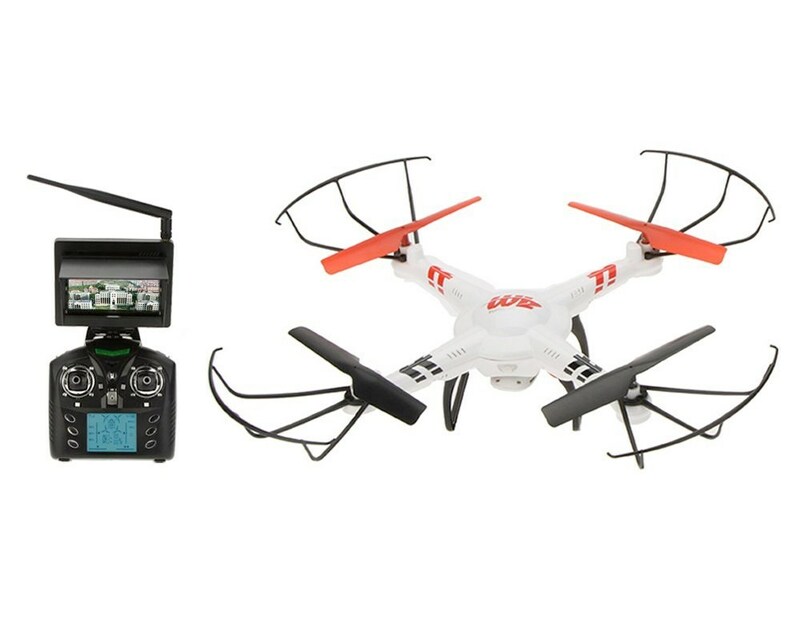 The transmitter also offers an LCD monitor with outputs for signal conditions and battery power, which gives you up to 8 minutes of flight time. The $49.75 price tag includes a 2MB HD camera and a 2GB memory card. 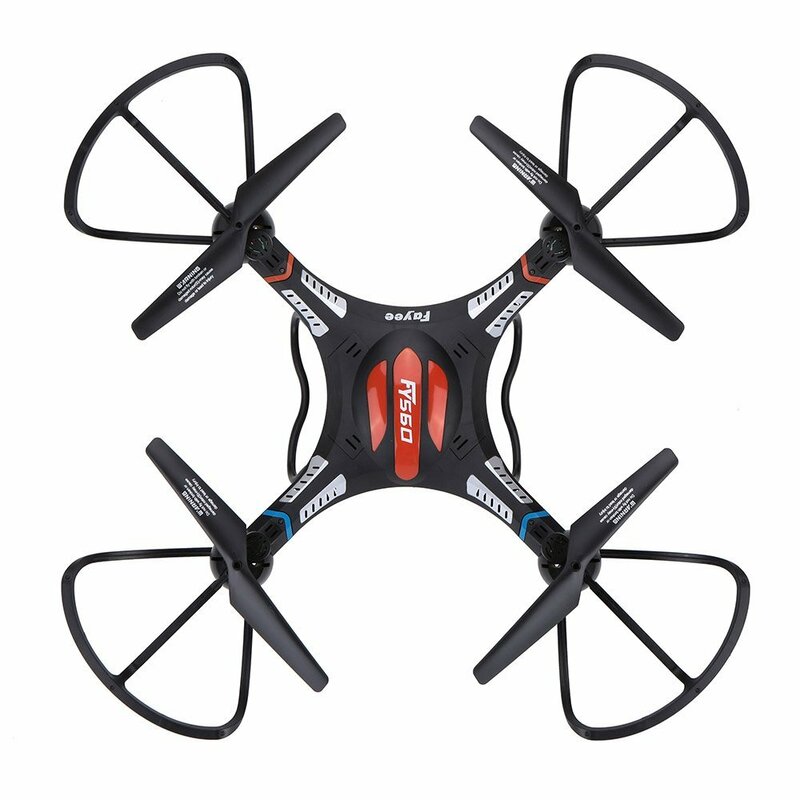 This drone is large compared to the other ones, coming at 7.87 x 7.87 x 1.97 inch. 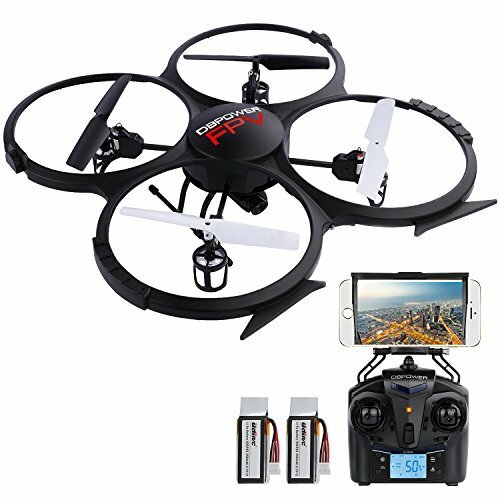 At $87.90, the V686G gives you a 5.8G real time image transmission first-person view (FPV) 2MP camera with vibration absorber and eight minutes of flight time. The one key return feature ensures your drone gets back to you, and the missile launcher, water cannon, hook & basket and bubble blower adds more fun to your flying experience. The F181 captures 1280 X 720 images and video at 30 fps with the HD camera. The flight time is around eight minutes, and a key 360 degree 4-way flip lets you do so to the left, right, forward and backward with continuous roll for $99.98. 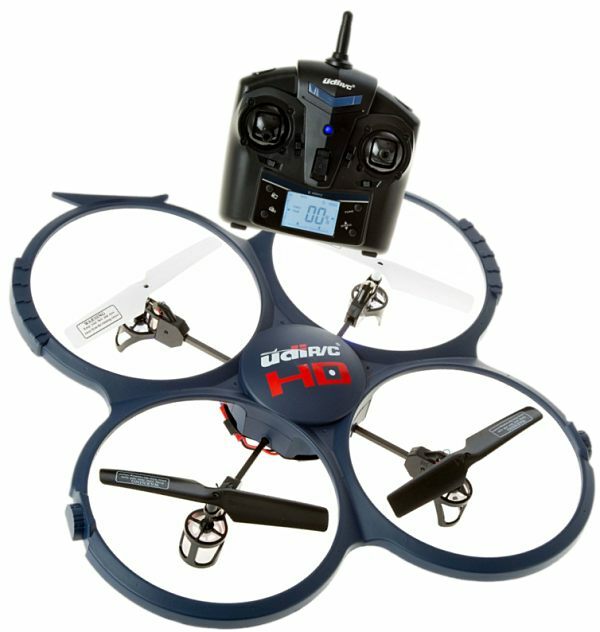 The 510G has 5.8GHz FPV with high altitude hold mode, Wi-Fi camera, 2MP camera with 720p and optional phone control. 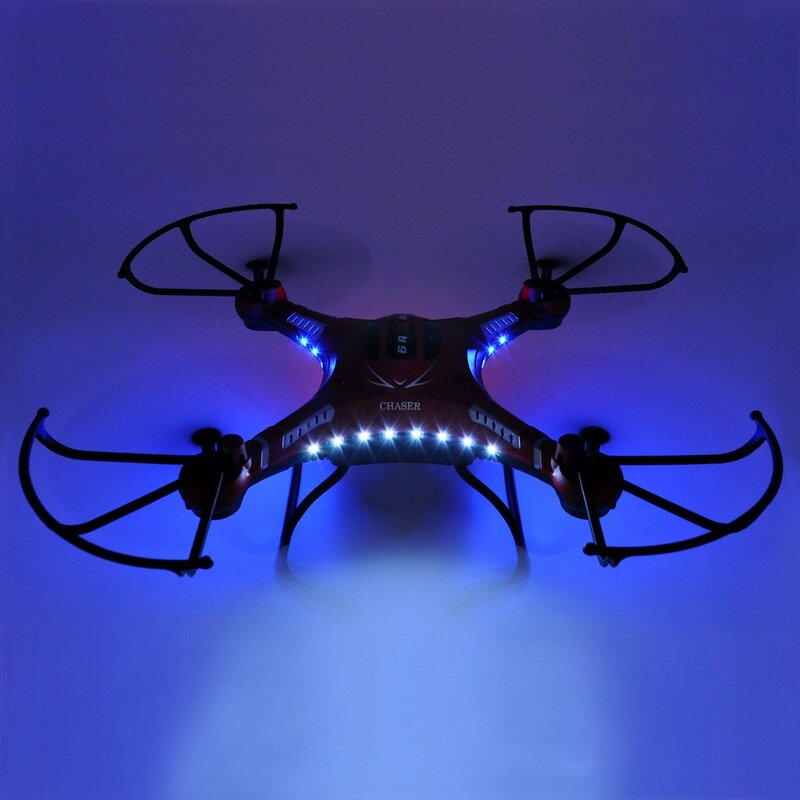 The 3.7V 800mAh delivers eight minutes of flight time. 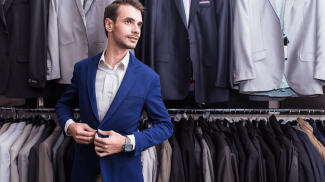 The $89.99 price tag varies greatly, so shop around until you get the best price. 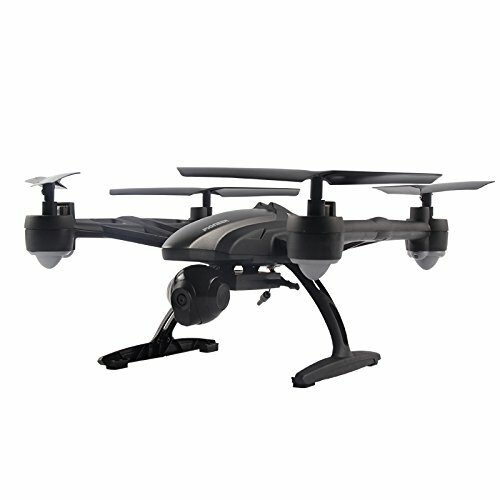 The $109 price tag for this drones delivers some great features, including a 3.0MP Wide angle camera, 2-Axis adjustable gimbal and one button return. 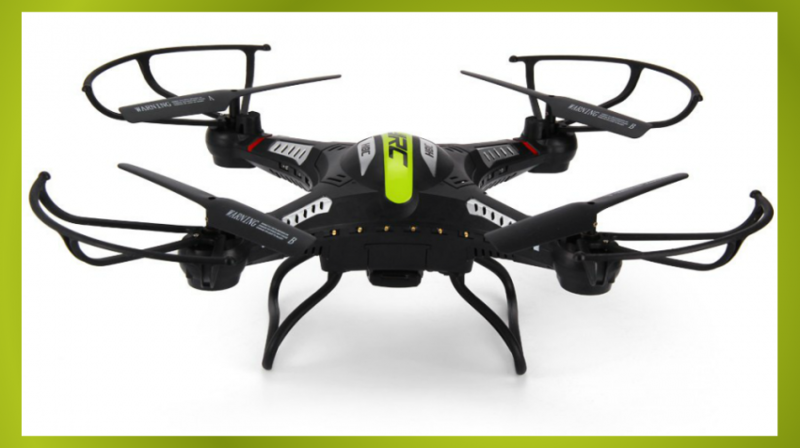 The flight time is only seven minutes, but the solid construction makes it a great value. 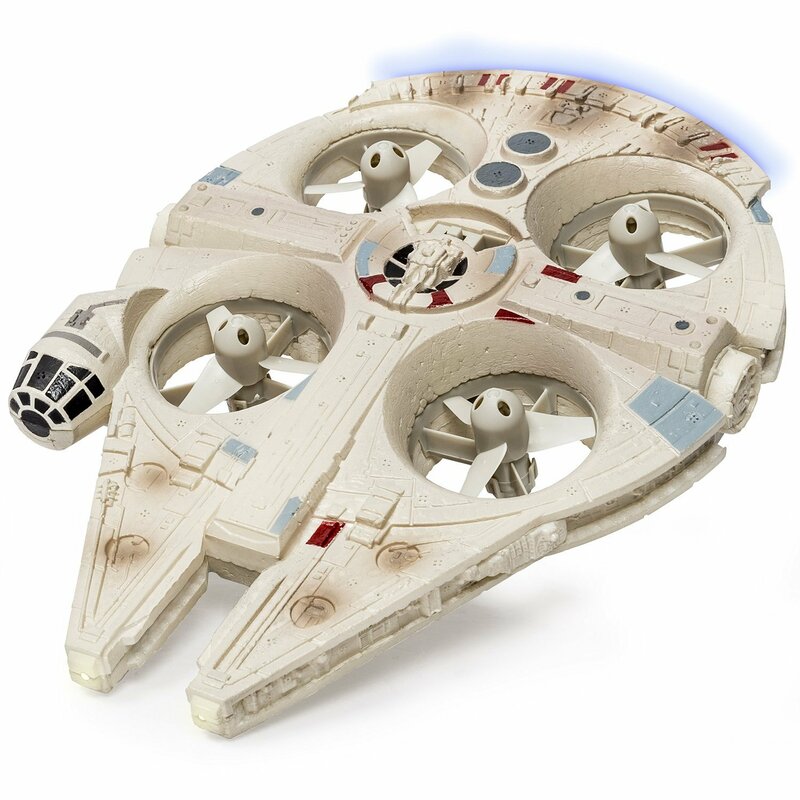 If you are a Star Wars fan, this is definitely a great way to have some fun with a drone. The flight time for the Falcon is five minutes, but it does have some special sound effects to add to the realism. The price varies greatly depending where you get it, the $80.36 is one of the lowest prices. The camera on this phone is listed at 8MP, which presents great opportunities for capturing high quality images. The 7.4V 2000MAH also delivers one the longest flight times for this price range, with up to 12 minutes. At $147.50 it definitely packs some great features. The CX-35 is made by a popular brand, and at $145.99 the quality build and the 2MP wide angle HD camera with independent video transmission system will ensure you get your pictures and video as promised. The 1300mah battery provides up to seven minutes of flight time, and the one-key return along with a low-voltage warning will bring your drone safely back to you. You can fly the F183 with your smart mobile device when you don’t have the remote using Wi-Fi. 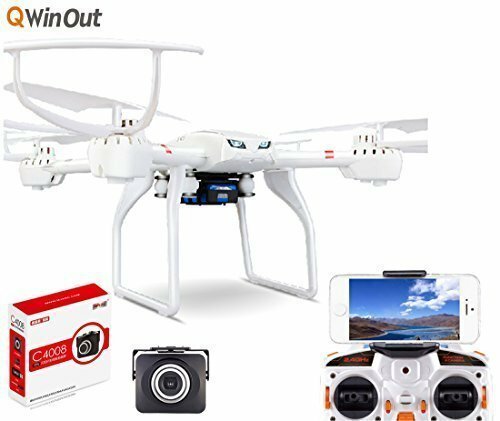 A flight time of seven minutes, 2MP HD FPV camera, two control modes and a 3D flipping button are some of the features of this $107.99 drone. If you want a live video feed in HD from your smart mobile device, the U818A has an FPV Wi-Fi feature to make it possible. The Gravity Induction mode lets you control the drone based on the angle of your phone. 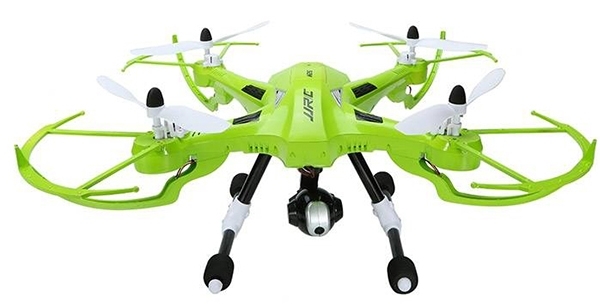 And for $139.99, it also has anti-crash safeguards while you are flying for up to 9 minutes with the 3.7V 700mAh battery. The 5.8G FPV monitor will let you view your images and video over long distances from the HD 2.0MP camera. The 360 degree accurate localization feature will let you see where your drone is at all times. The flight time for this $140.31 air craft is around eight minutes. The X101 lets you choose three different type of cameras depending on your needs. 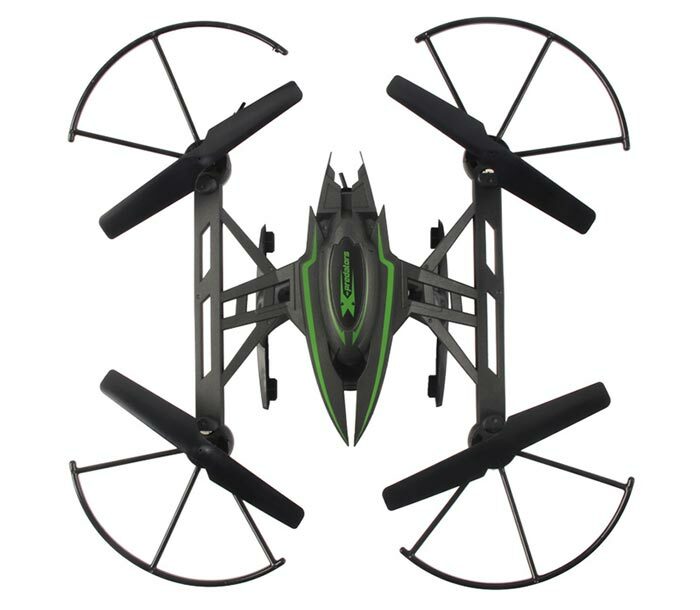 It has 3D flips tumbling skills, 6-axis gyro stabilization system and a search light are some of the features. With a flight time of 10 minutes, the $149.99 price tag may well be worth it. 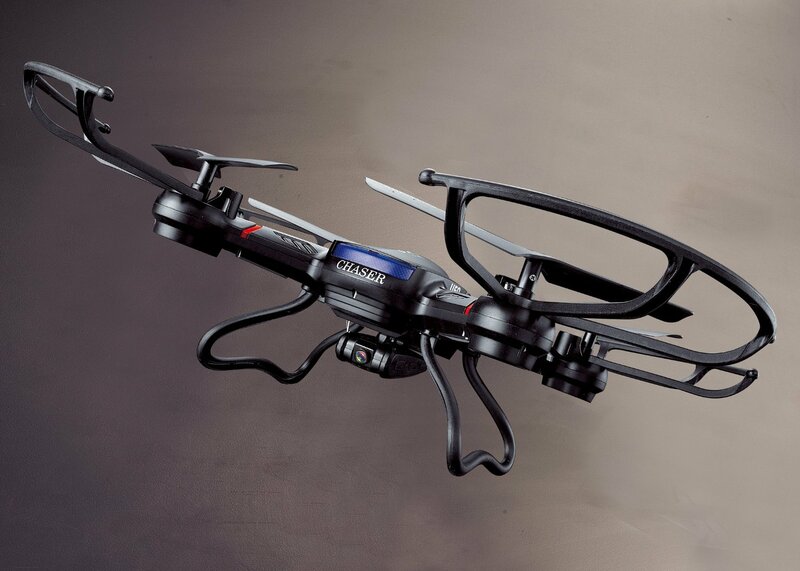 The 509G is a 5.8G FPV with an X design that includes a 2.0MP camera, 6-axis gyro and a flight time of six minutes. For $135.99 you get a one-button return and fixed altitude function for better control. * * *The features on drones in this price range are pretty much the same. 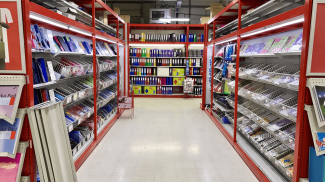 And since the industry is growing, there are many manufacturers, so you have numerous options. While these prices may change, they were accurate at the time of reporting and should give you a good idea of where to get started. So the drones are getting cheaper by the day. This means that soon, it will reach an affordable price. But I wonder if there will be high end brands for these as well.